Who knew making an extra thick and rich smoothie, putting it in a bowl and topping it with favorite crunchy things like granola and nuts, coconut , and fresh fruit could completely turn my breakfast routine upside down? move over eggs…there’s a new kid in town! I admit I was a bit skeptical about the whole smoothie bowl thing. I wasn’t sure I was going to like eating a cold smoothie from a bowl with a spoon. I’ll sip one from a glass or straw anyday, but the bowl thing? Ohhhhh…ohhhhh….yeessss! Why did I not try this earlier? 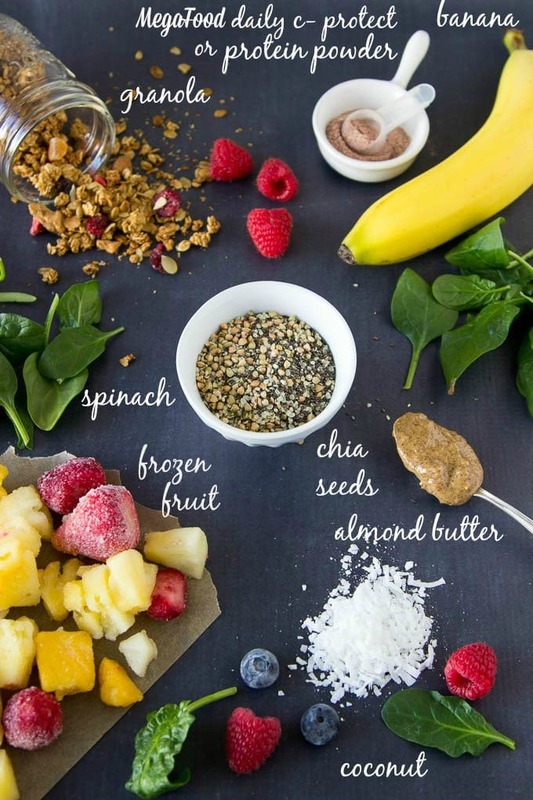 If you haven’t tried a smoothie bowl yet, I’m just sayin’…..do it now! (not to sound all bossy or anything, it’s just that it’s SO good!) The consistency of this smoothie is a bit thicker than one you would drink which makes it super easy to eat with a spoon. The real bonus is that you get to make it look all fancy and top it with any of your favorite things (like nuts, seeds, granola, coconut flakes, chia seeds, fresh fruit, chocolate chips….you get the idea – anything you like). 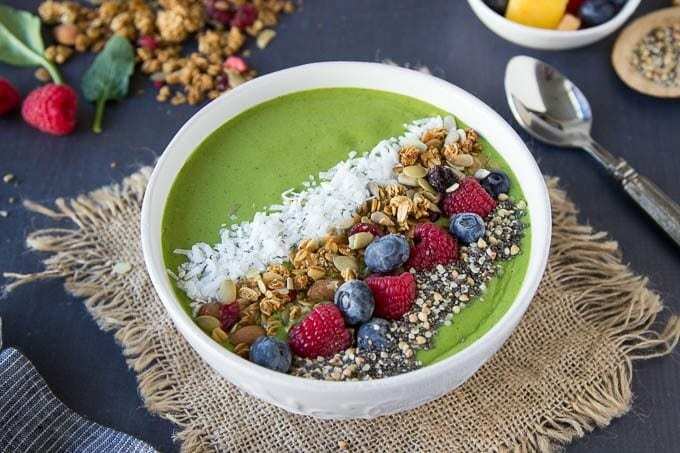 If your New Years resolution was to eat a little healthier, or maybe you just want to get some extra Vitamin C so you’re prepared for the winter cold/flu season…this green smoothie bowl is a good way to do either/both! The good folks at MegaFood recently sent me a Winter Wellness pack to try (and we’re giving one away below) with all kinds of whole foods supplements perfect for the winter months.* . I amp’ed up the Vitamin C power of this smoothie by adding a scoop of MegaFood Daily C –Protect Nutrient Booster (included in the Winter Wellness pack). I love to try new products (or new ways to eat familiar foods – like green smoothies) because you might just discover something great! 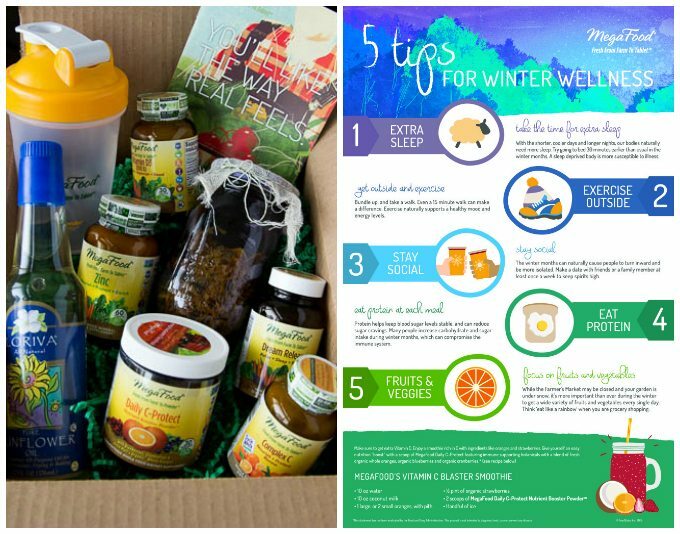 So when MegaFood asked if I would like to try their Winter Wellness pack, I jumped at the opportunity. I’m already really familiar with MegaFood because I’ve been using some of their products for years but things like the Daily C- Protect Nutrient Booster were all new to me . Daily C -Protect is made from real foods (like oranges, blueberries, and cranberries ) and one tiny little scoop added to this smoothie gives it even more nutrient power. When I find something really good (like green smoothie bowls and Dailly C-Protect) I like to share that info with you all as well. Way back when (like 10+ years ago) I was on a quest to find a multi vitamin that didn’t upset my stomach. I’d tried many ! but it seemed that most made my stomach “burn”. That was until I stumbled upon a very informative person at my local vitamin store who introduced me to “food based vitamins”. Yes, vitamins that are made with REAL food (fruits, vegetables, brown rice etc.) stuff my body already knew (hello carrots!, blueberries, etc.) and could assimilate without any issue. * Hallelujah! Since then I’ve been taking a food based multivitamin daily. Specifically MegaFood One Daily ( and more recently the Womens One Daily) It’s one of the few things that I’m very brand loyal to. 2. Transparency– MegaFood is one of the only supplement brands that controls it’s productions from farm to tablet. Yes, they are hands on and want to make sure customers trust and can see the whole process of transforming real foods into supplements. You can even watch a 24/7 live cam of the process in their production facility. 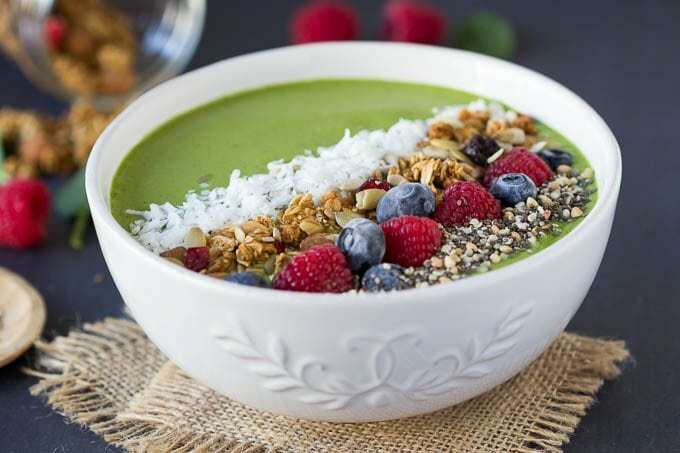 Green Smoothie bowl? Oh yes! Tastes like tropical ice cream ! (I swear!) Loaded with healthy ingredients like mango, pineapple, coconut milk, almond butter, banana and spinach . You just HAVE to try this! Place spinach, banana, mango, pineapple, coconut milk, almond butter and Vit. C powder (or protein powder) into blender and blend until smooth. Pour into bowl and top with your favorite toppings. I have not , but I will be now! 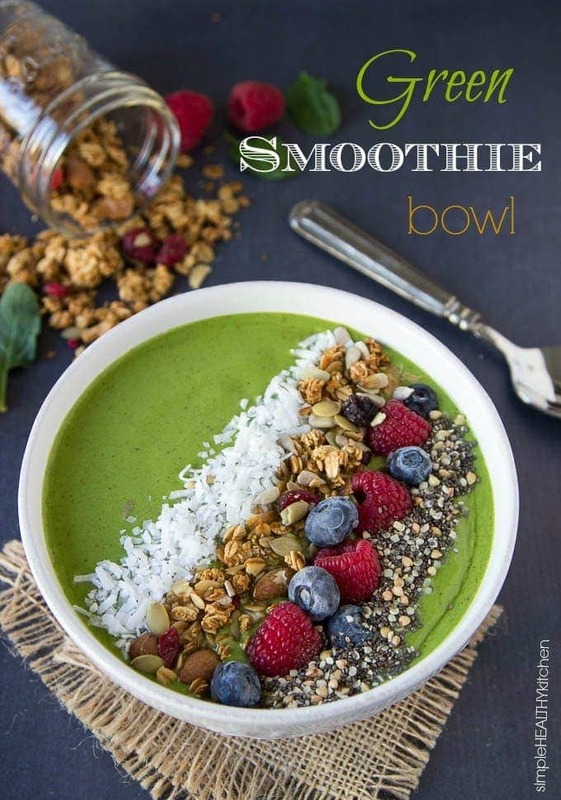 Green smoothies are my favorite – I make one every morning, so this looks fabulous to me! Thank you for the wonderful giveaway. I have not tried a smoothie bowl, but I absolutely would! I love drinking regular smoothies. I’ve tried one at a cafe, but I’d love to make my own! I had one for breakfast today! I haven’t tried one, but I will soon. Thanks for the recipe. I made a smoothie bowl once and it was incredible. I plan to make more this year. I have not tried a smoothie bowl before but it looks delightful.